Arco-Íris (Leiria, Portugal) on 7 March 2008 in Landscape & Rural and Portfolio. What a wonderful cloud formation. Beautiful! I love images of the sky and cloud. Assim você sensação como um pássaro? Soft and wispy clouds. Fabulous. Like a grabbing claw of clouds, aiming at nothing, why should it BTW? Great philosophy in your picture! Intriguing. It does look like the hand of God. 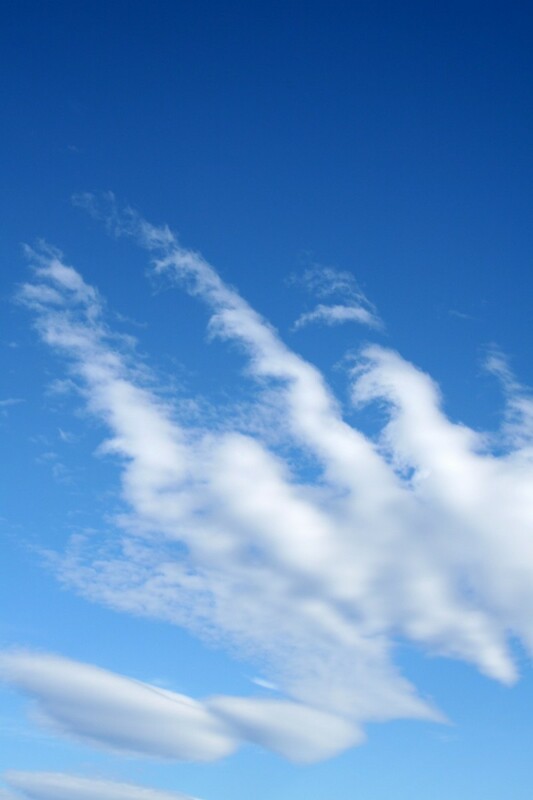 It looks like a hand with fingers... amazing drawings in the sky sometimes. Wonderful composition. Great clouds formation. God's hand. A nice shot. Nice sky in a same shot! muito bons estes tons, gostei. Grafismo e tonalidades agradáveis e apelativos. ...também eu, agora que aqui estou e vejo este azul misturado em claras em castelo :) o céu é um tema fantástico...!